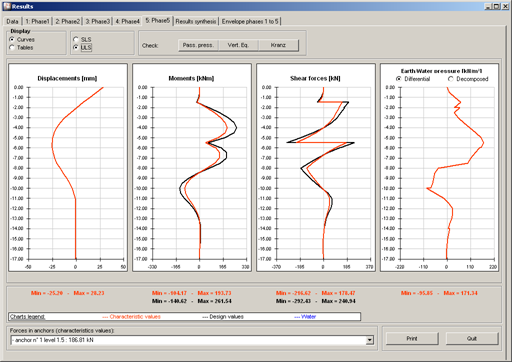 AMRetain™ is a new design software developed solely for the design of steel sheet piling structures using the ArcelorMittal range of steel sheet piles. AMRetain is based on the ‘Subgrade Reaction Model’ (also called ‘Soil Structure Interaction Model’, or SSIM-K). 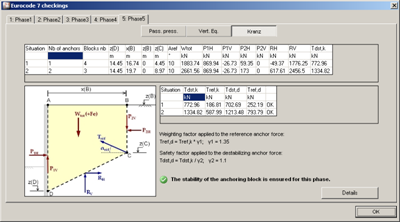 This SSIM is a good compromise between quite simple design methods like the ‘Limit Equilibrium method’ (LEM) and more complex ones like the Finite Elements Method (AMRetain™ is to replace ArcelorMittal software ‘Prosheet’ - Limit Equilibrium method). It is proposed in AMRetain with the possibility to activate ULS checks according to the French Standard NF P 94-282 (application of Eurocode 7 for retaining structures). 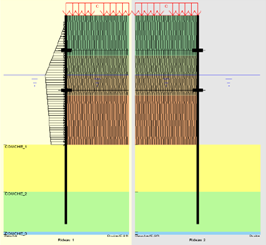 AMRetain™ was developed by Terrasol on behalf of ArcelorMittal (and on the basis of K-Rea commercial software for the design of all types of retaining walls). AMRetain™ is provided by Terrasol (again on behalf of ArcelorMittal) through this web shop : AMRetain™ is protected with a software license system, and is available at a reasonable price which covers partially the cost of its development and distribution (the remaining costs being paid for by ArcelorMittal). 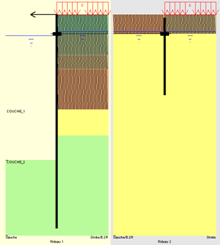 The intent is not to compete with existing commercial software (such as K-Rea), but to provide an easy-to use software to civil and geotechnical engineers with a basic knowledge of design of retaining structures, but who do not deal on a regular basis with the design of retaining structures. 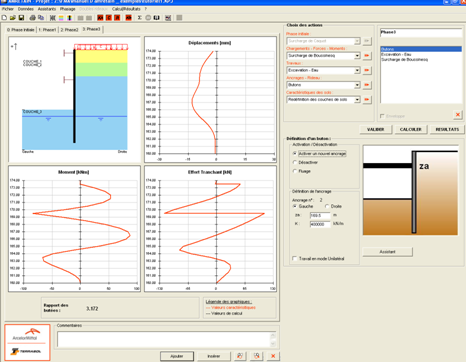 AMRetain™ is a very user-friendly software : it includes several useful wizards: ArcelorMittal sheet piles catalogue, help for the determination of subgrade reaction coefficient for soils, numerous graphical displays, helpful output, etc. single walls, either cantilever walls or anchored walls (made of ArcelorMittal sheet piles). double sheet-pile walls with one or two linking anchor levels. For all types of projects, AMRetain™ makes it possible to simulate the construction phases, using about 20 different action types: excavations, fills, loads, etc. The results include for each wall: the horizontal displacements of the wall, the moments and shear forces in the wall, the earth and water pressures along the wall, etc. Beware: the chosen design method based on Eurocode 7 is not valid for all the European countries. AMRetain™ enables the user to change the values of the partial safety factors, but the approach used in the calculation will be « approach 2 » only. The user can either work in ‘metric’ units (SI system) or in ‘imperial’ units (usual units in the United States). Finally, AMRetain™ software is provided together with a full manual (user manual, scientific manual, and tutorial manual) and example files.